Pudong police revealed a sorry story of how a shoplifter was caught and then blackmailed by staff at the store. A woman who allegedly stole from a convenience store was in turn the victim of staff at the store, according to Pudong police. They said she stole about 500 yuan (US$75) of goods from a convenience store, was discovered, and then in turn was blackmailed by staff at the store and told to pay them about 10,000 yuan. The woman, surnamed Peng, then told police she had been robbed of money and her phone, but later claimed she had done so because she was too ashamed to tell her boyfriend the true reason why she had lost her money, police said. She went to Chuansha police station accompanied by her boyfriend on October 7 claiming to have been robbed by an illegal taxi driver at a crossroads, but police couldn’t find any evidence of the alleged robbery. From surveillance cameras in the street, police discovered that Peng had spent several hours in a convenience store near the crossroads. Staff at the convenience store told police that Peng was found stealing in the store, so they kept her there for some time. Peng later admitted she had been shoplifting, police added. The goods stolen included beauty products and an electric extension lead. 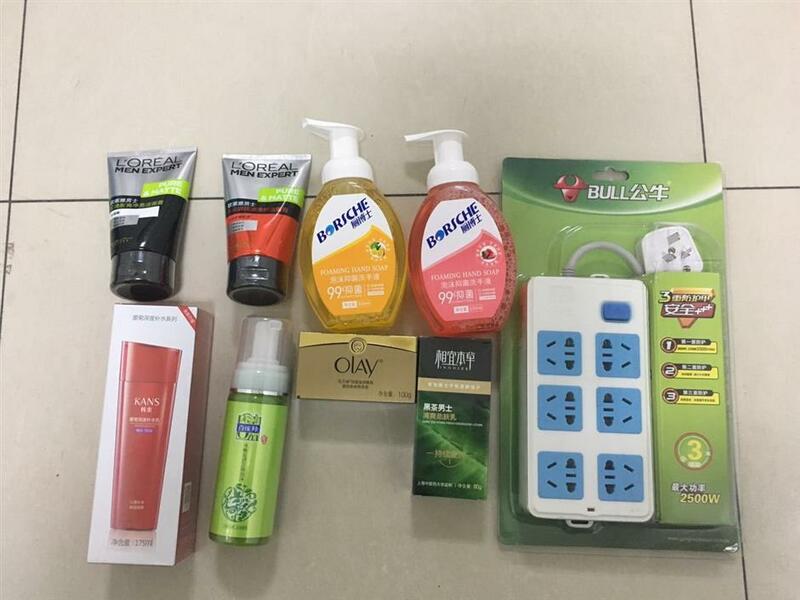 Some of the products that Peng admitted stealing. After further questioning of both the store staff and Peng, police found out about what both parties had been reluctant to reveal. The manager of the store, a woman surnamed Hou, told police that she asked Peng to pay “100 times” the price of the stolen products after catching her stealing in the store. Hou then threatened to turn Peng in to the police and made her hand over 4,900 yuan and asked for a further 5,000 yuan, police said. Peng didn’t have any more money with her, so was made to leave her phone at the store, they added. Peng faces punishment for stealing and Hou for blackmailing, police said on Thursday.